What? 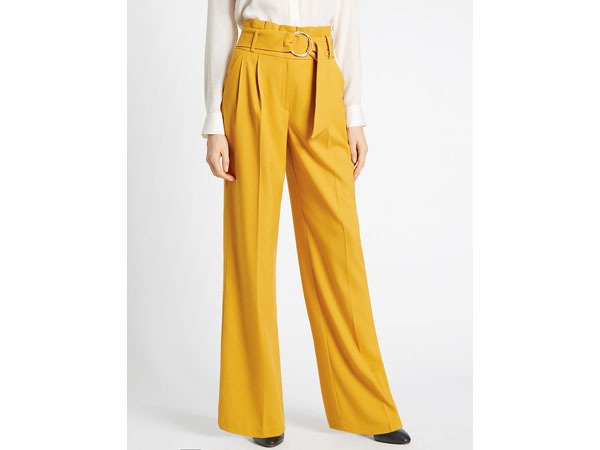 Belted paper bag wide leg trousers on ochre. Also available in navy. Priced at £35.